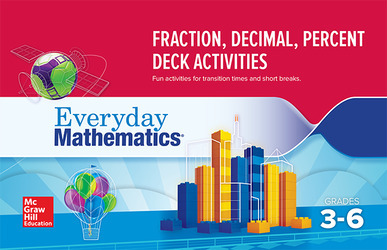 Activity Book corresponds with the Fraction/Decimal/Percent Deck cards. The Activity Book provides an enjoyable way for students to practice and master basic math skills, without the use of routine drill and daily worksheets. The activities and games engage students as they develop their ability to think critically and solve problems. They can be readily used in the classroom, in activity centers, or at home.